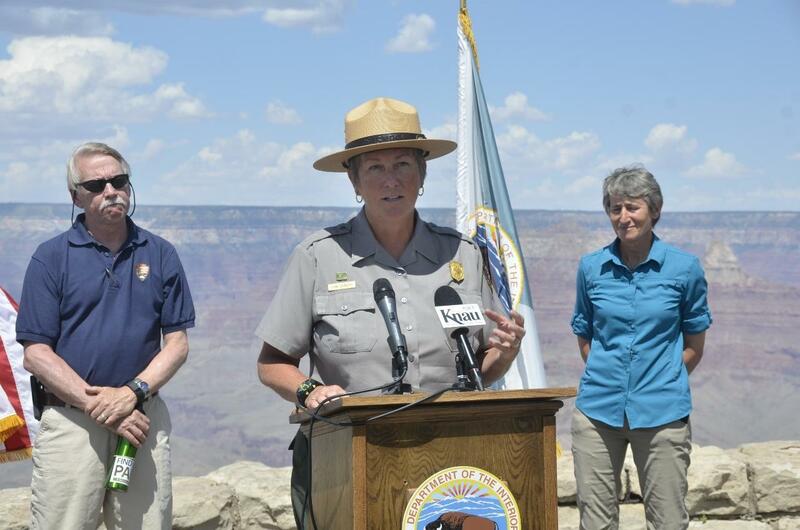 Grand Canyon Superintendent Christine Lehnertz speaks at a press conference at the South Rim of the Grand Canyon in 2016. Investigators from the Interior Department's Office of Inspector General arrived at the park this week. Park spokeswoman Vanessa Lacayo says the allegations involve Grand Canyon Superintendent Christine Lehnertz but wouldn't elaborate. She says Lehnertz will be reassigned outside Grand Canyon to protect the integrity of the investigation. Lehnertz is currently on leave. Inspector general spokeswoman Nancy DiPaolo wouldn't say what led to the investigation or when it might be complete. Lehnertz is a trained environmental biologist who's been with the park service for more than 10 years.  She started at Grand Canyon in August 2016 after a sexual harassment scandal that led to the retirement of the park's former chief.